Just announced over on starwars.com, the latest TV series to bring the brick out of the toy box and on to the TV set is coming! 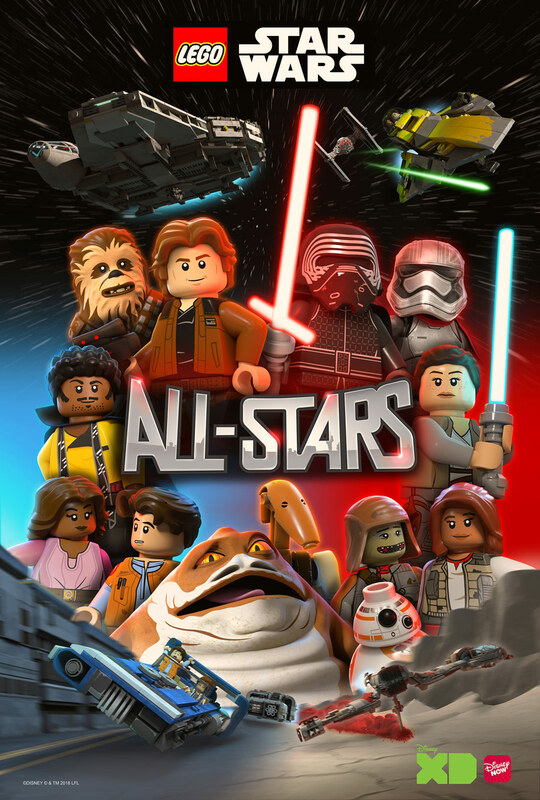 LEGO Star Wars All-Stars is an all-new animated adventure that spans all Star Wars eras and will air exclusively on Disney's two streaming platforms - Disney XD YouTube and DisneyNOW. Starting Monday, October 29th the first five shorts will air daily, culminating in a compilation special highlighting three additional shorts on Saturday, November 10 at 11:00 a.m. EST/PST. Following the debut of the shorts, four half-hour episodes will premiere Saturdays from November 17 to December 8 (11:00 a.m., EST/PST) on Disney XD and DisneyNOW. The eight shorts and four half-hour episodes will feature LEGO versions of the latest heroes and villains of the Star Wars galaxy alongside iconic characters including Kylo Ren, R2-D2, Young Han, Chewie, Young Lando, BB-8, and General Leia. Tell your kids - just don't expect a lot of canon moments though! LEGO Star Wars All-Stars is a production of experienced LEGO filmmakers Wil Film who brought The Freemakers to life, and has been developed for television by Bill Motz and Bob Roth (LEGO Star Wars: The Freemaker Adventures and Penguins of Madagascar), they join Jill Wilfert and Erik Wilstrup as executive producers (LEGO Star Wars: The Freemaker Adventures).